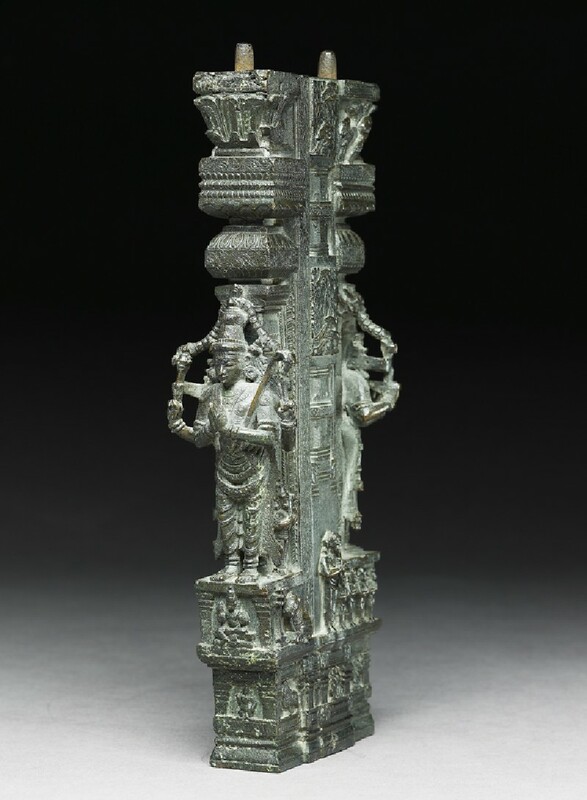 Separate from the north in languages and ethnicity, the sub-tropical regions of South India adjoin the central Deccan plateau, where north and south have always met. 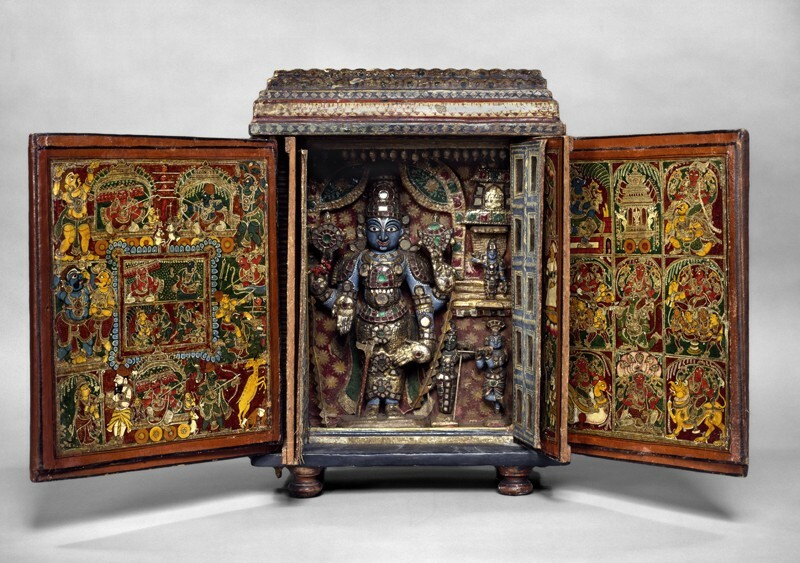 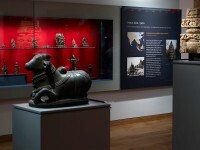 Hinduism, Buddhism and Jainism all flourished from early times in South India. 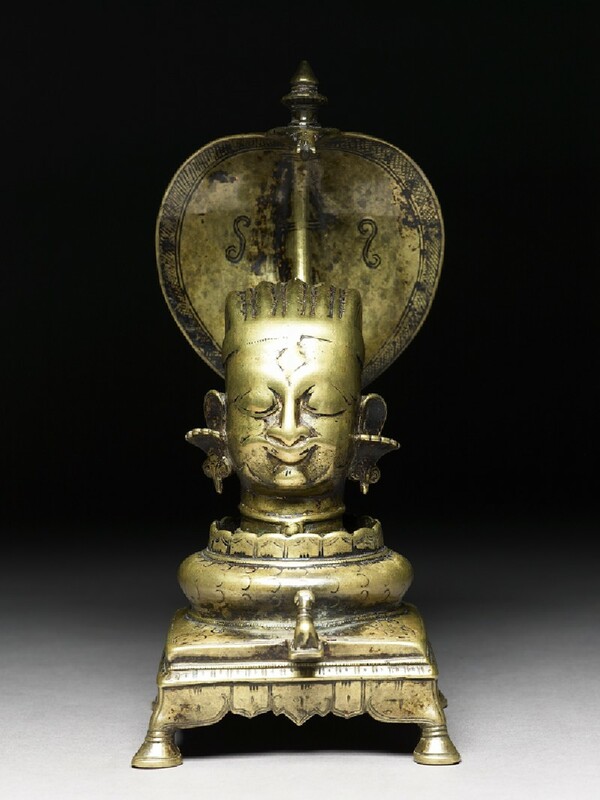 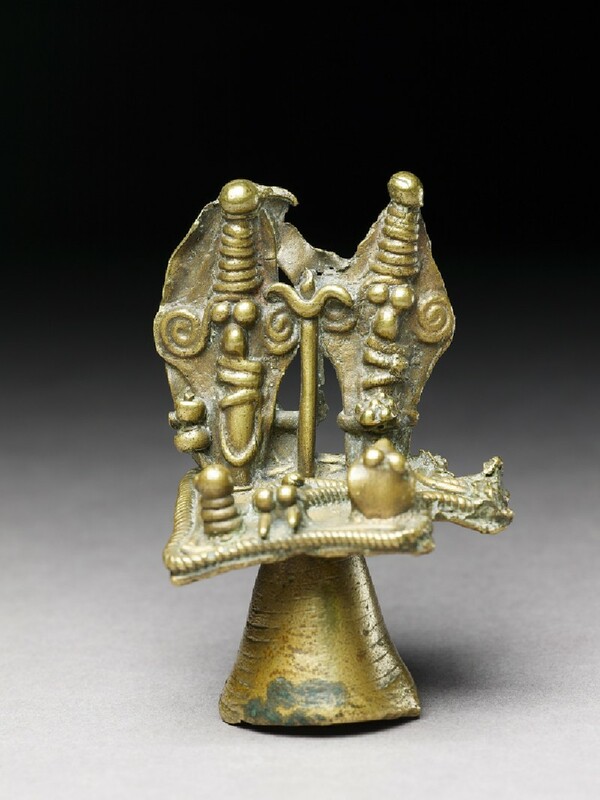 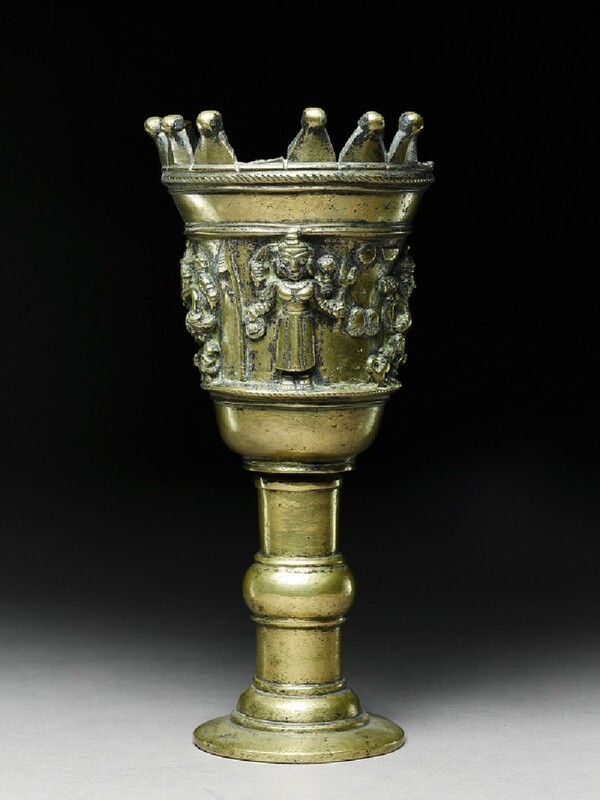 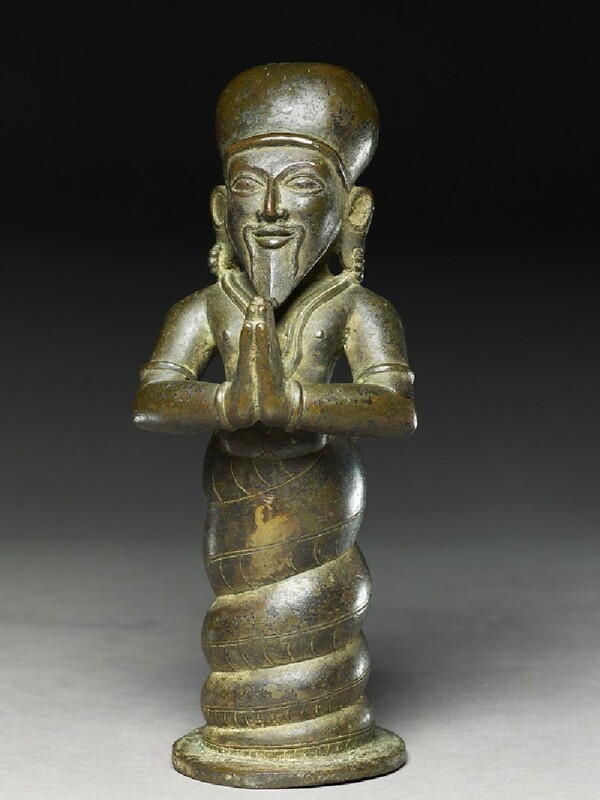 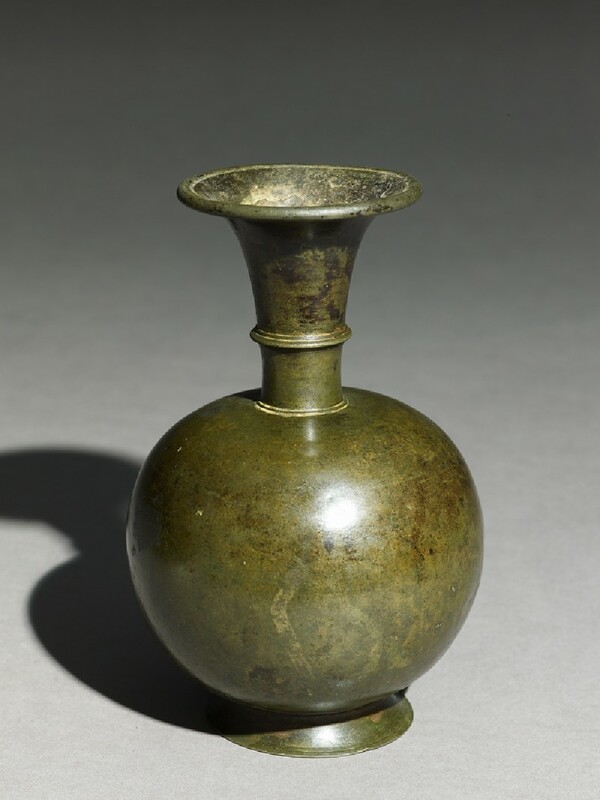 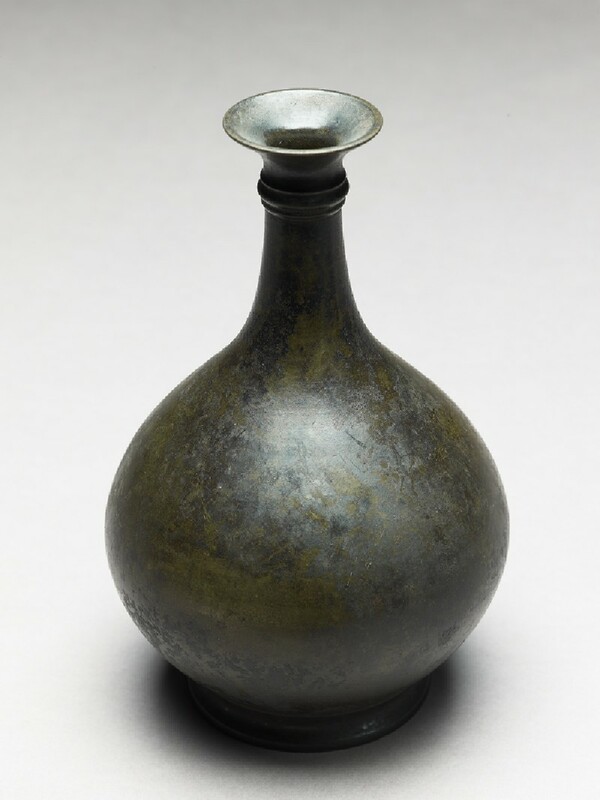 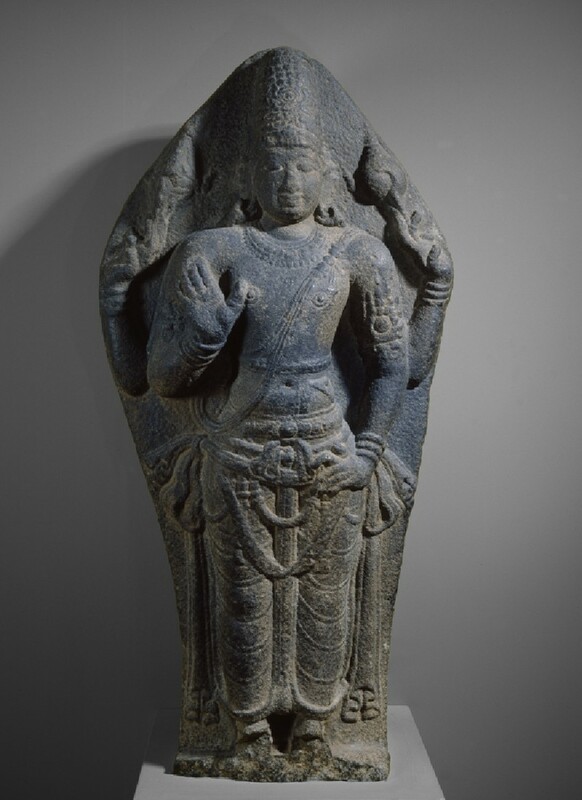 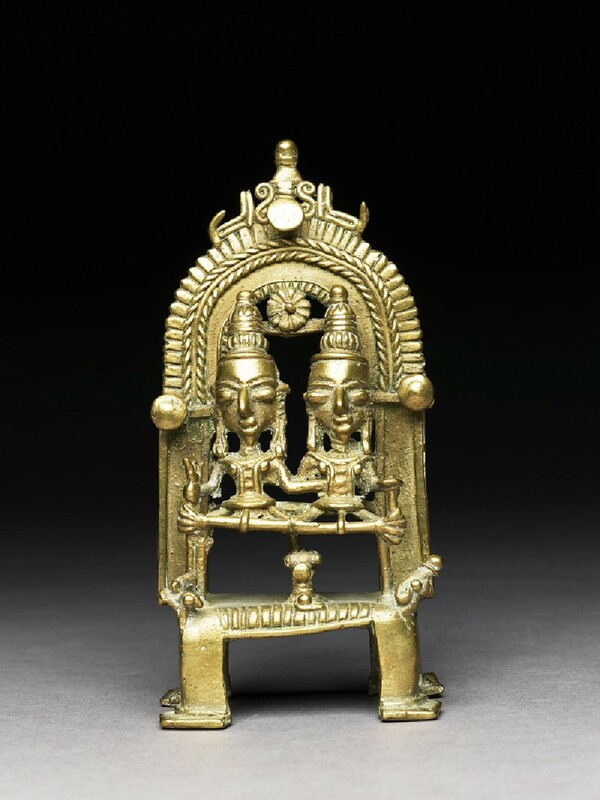 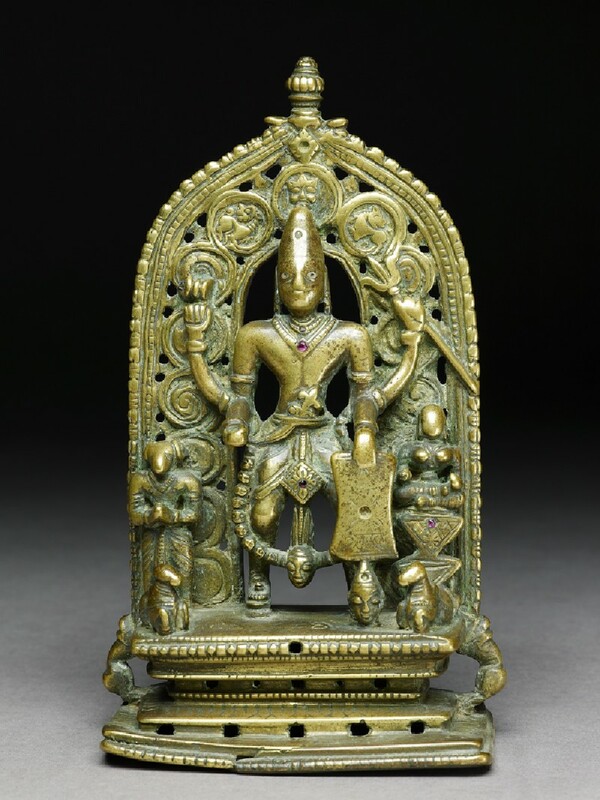 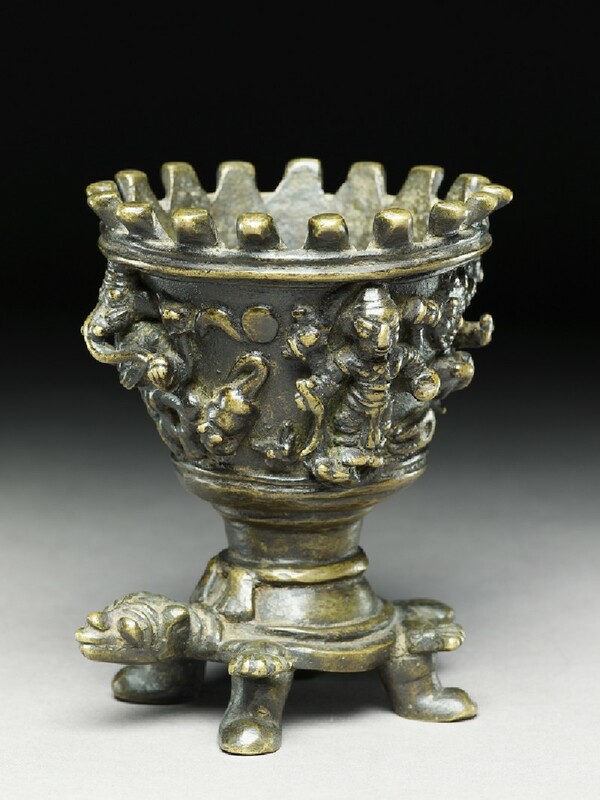 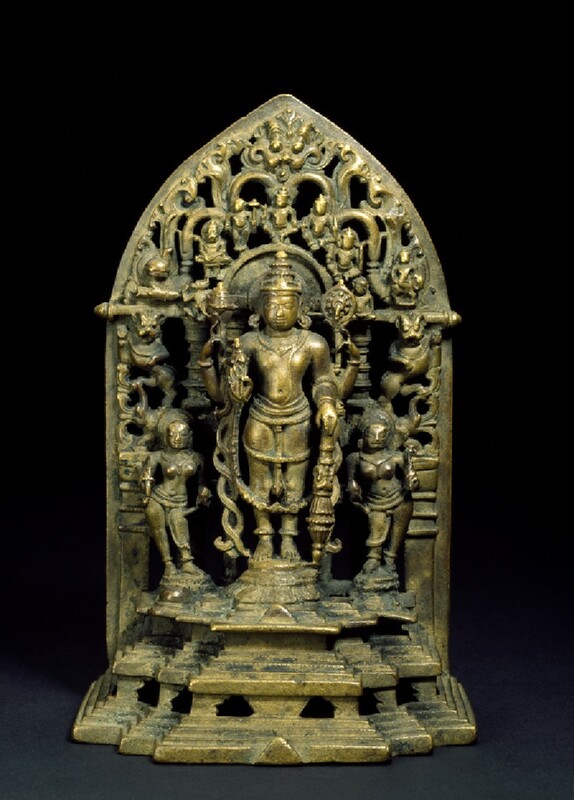 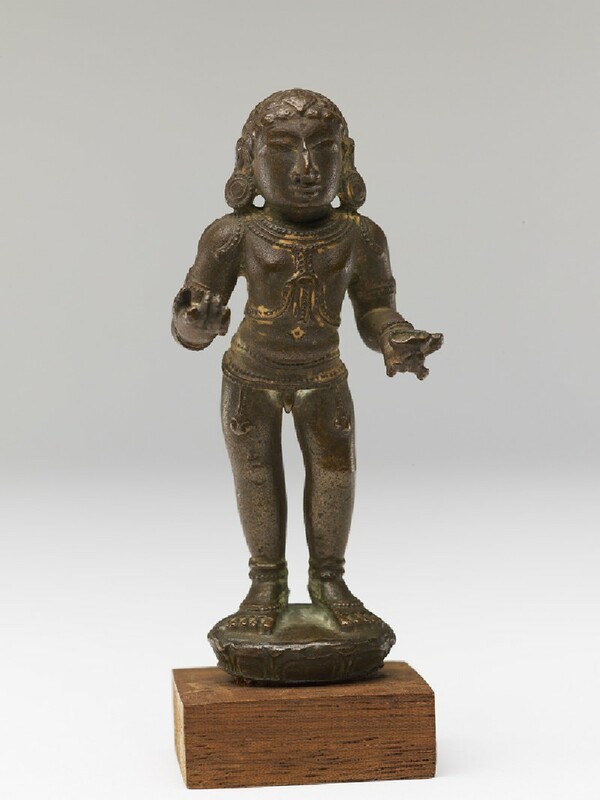 But from around AD 800, strong Hindu devotional cults, centred on Shiva and Vishnu, became dominant. 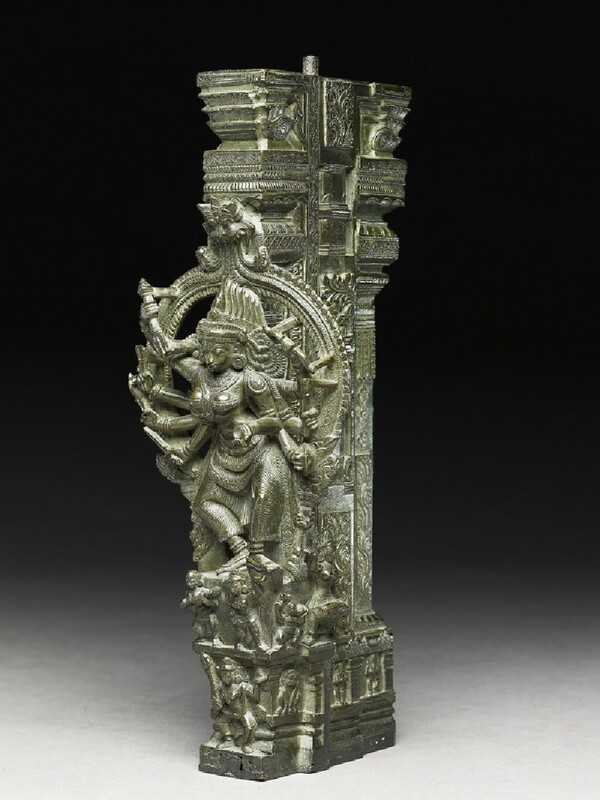 A vigorous tradition of temple building flourished in Tamilnadu, especially under the powerful Chola dynasty (AD 850-1250) which erected a series of huge temple complexes, profusely decorated with stone sculptures and relief carvings. 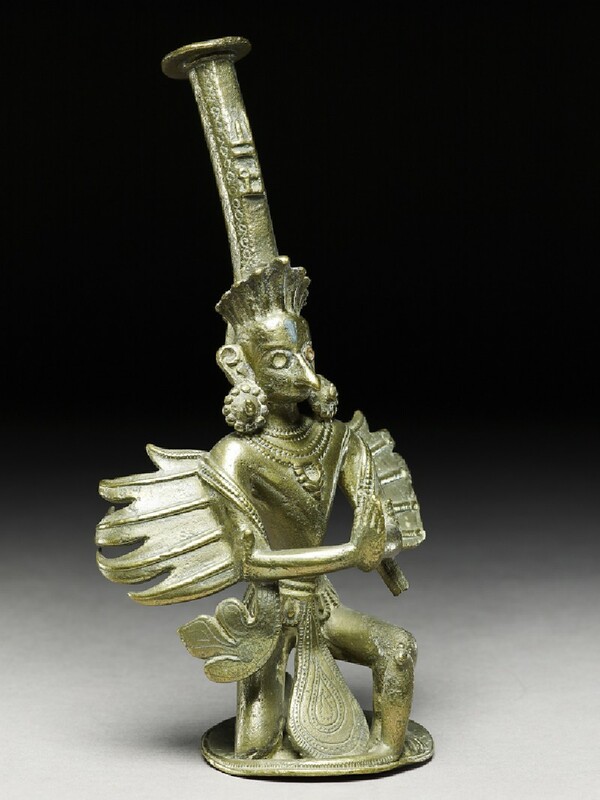 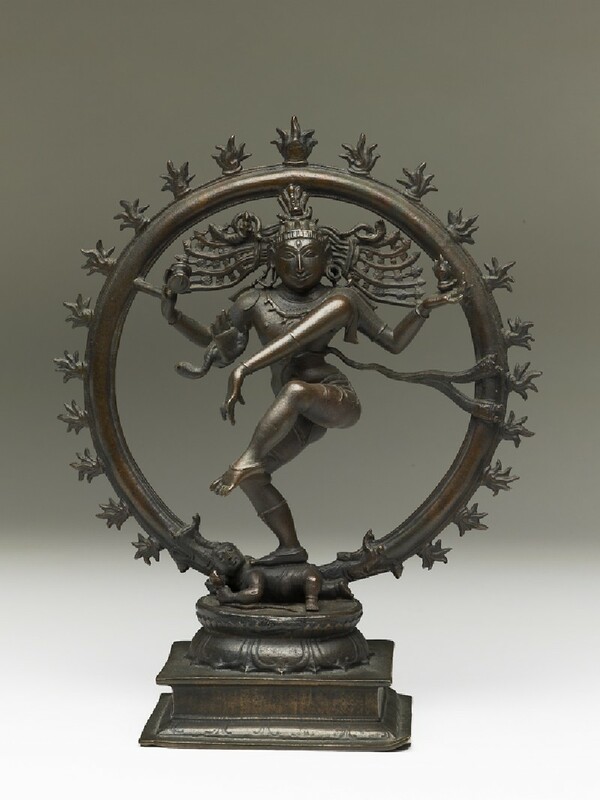 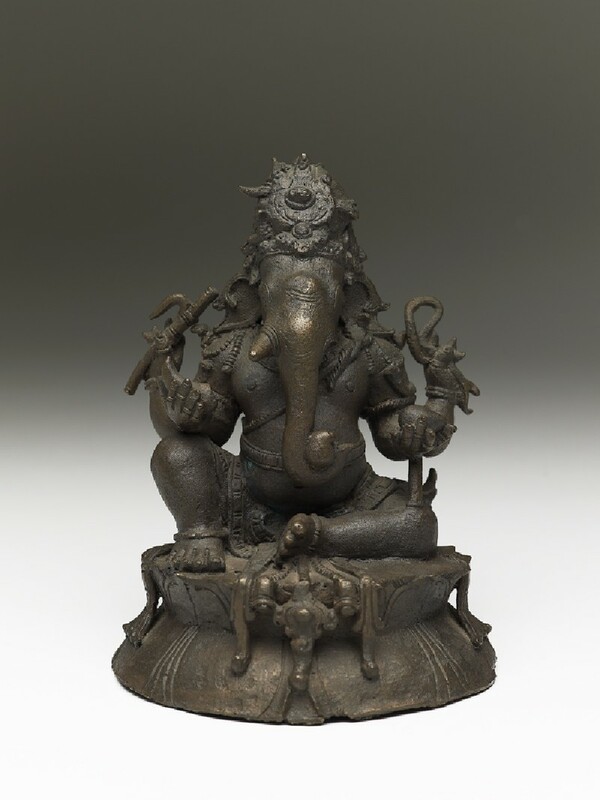 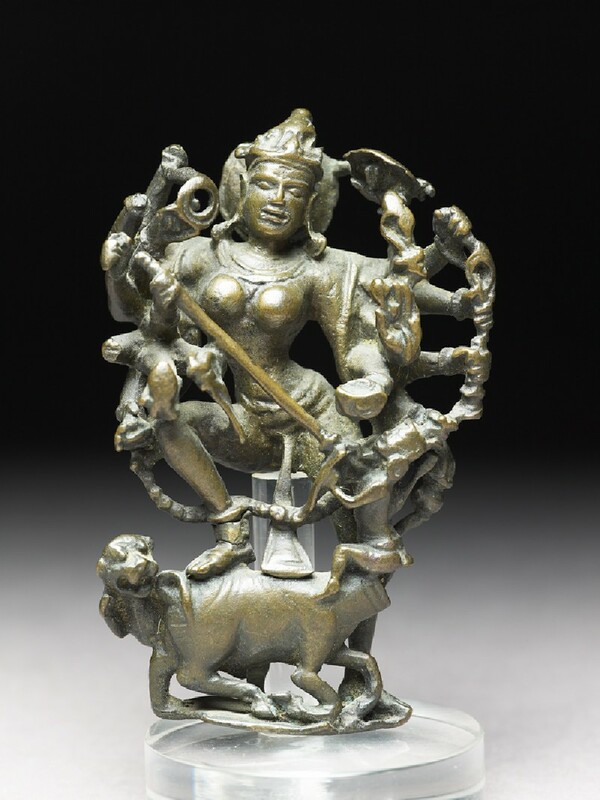 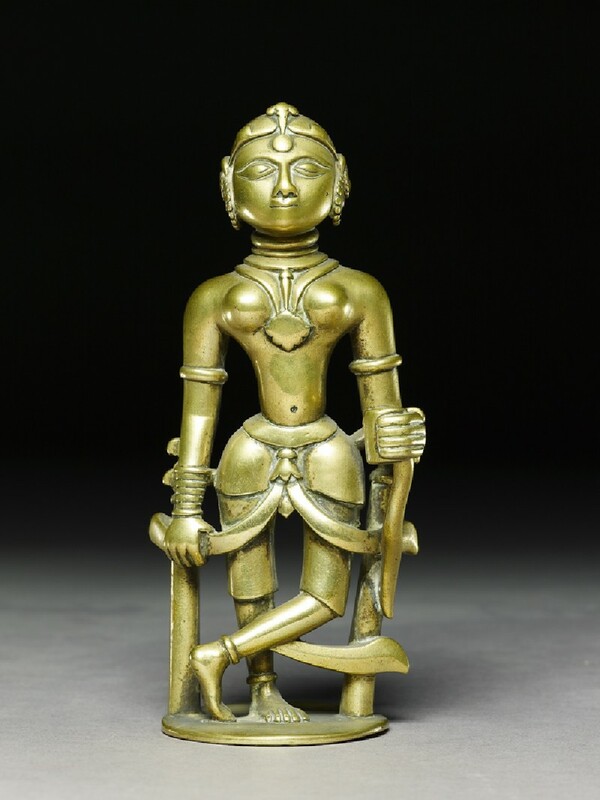 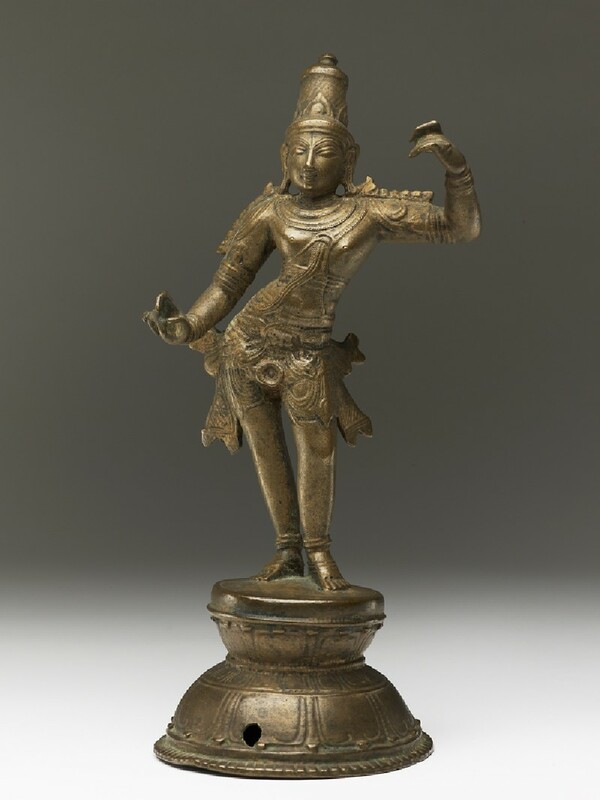 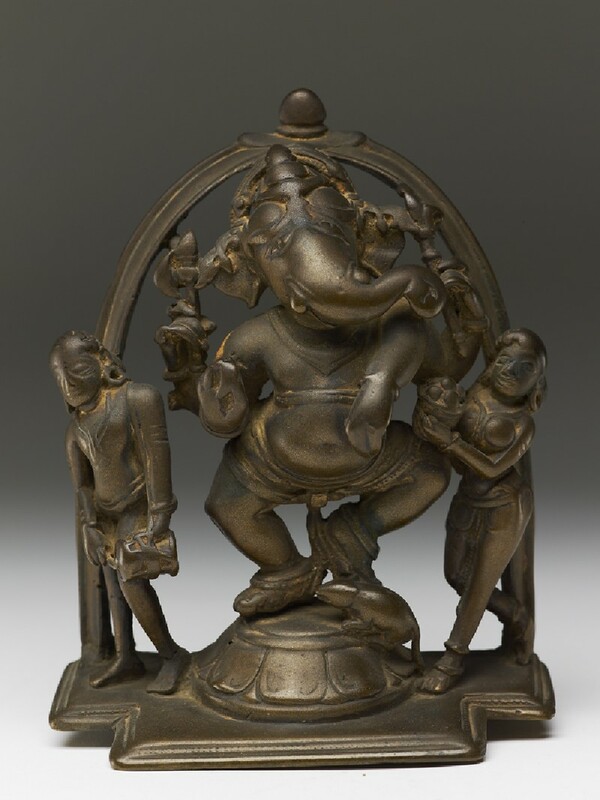 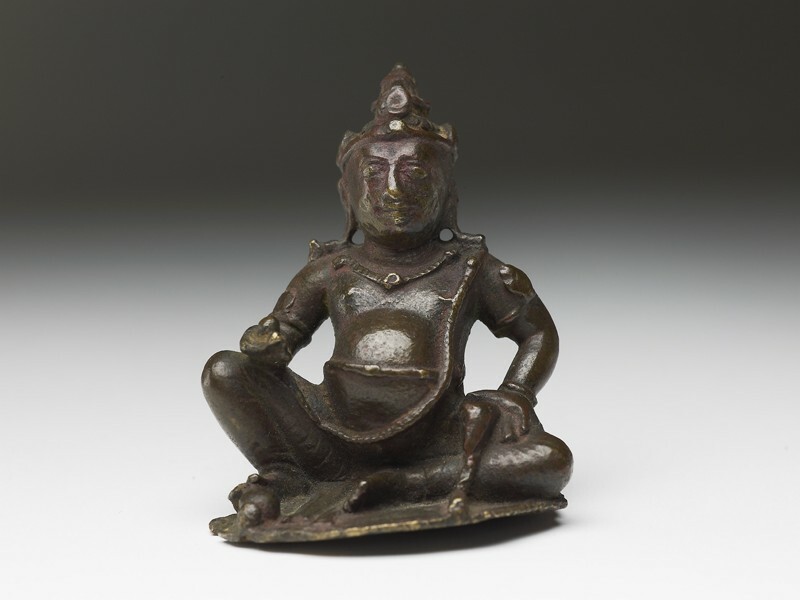 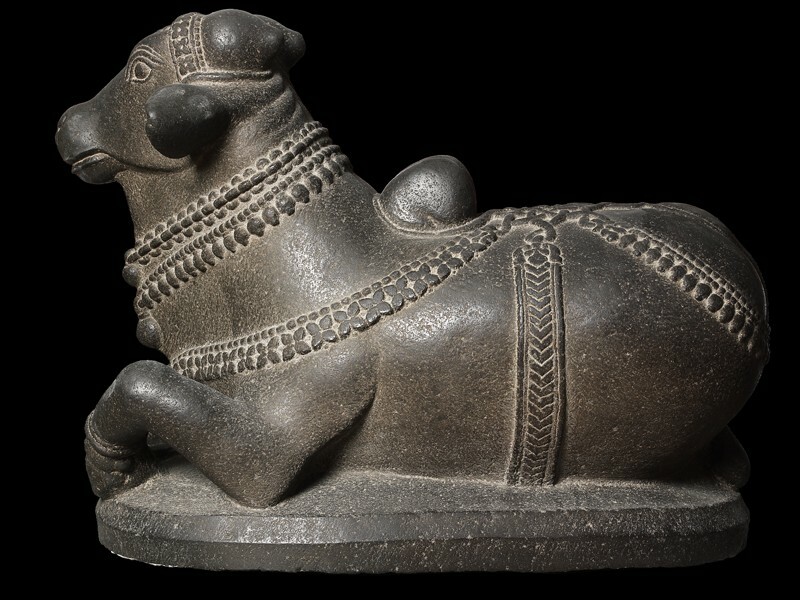 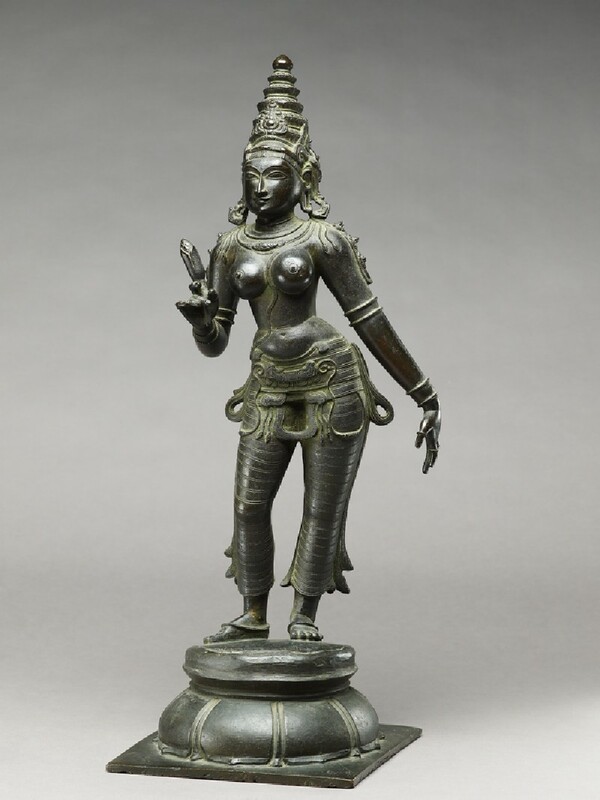 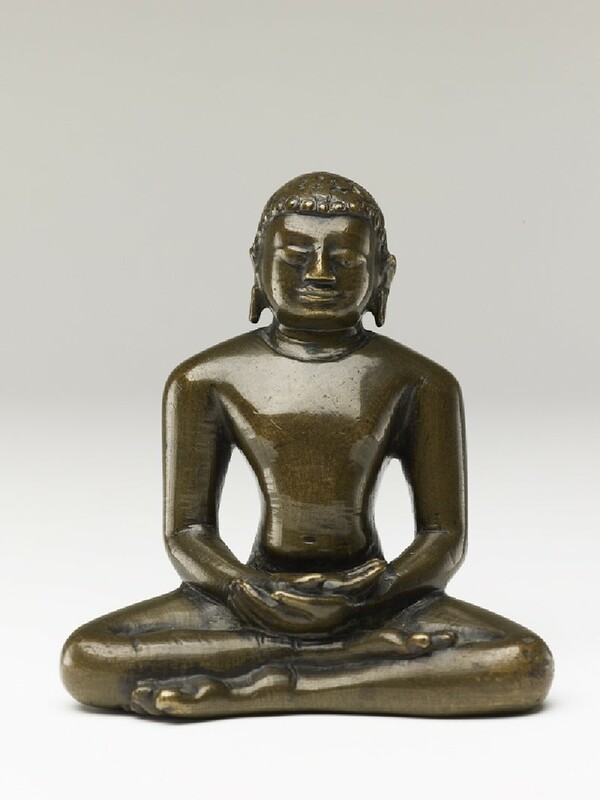 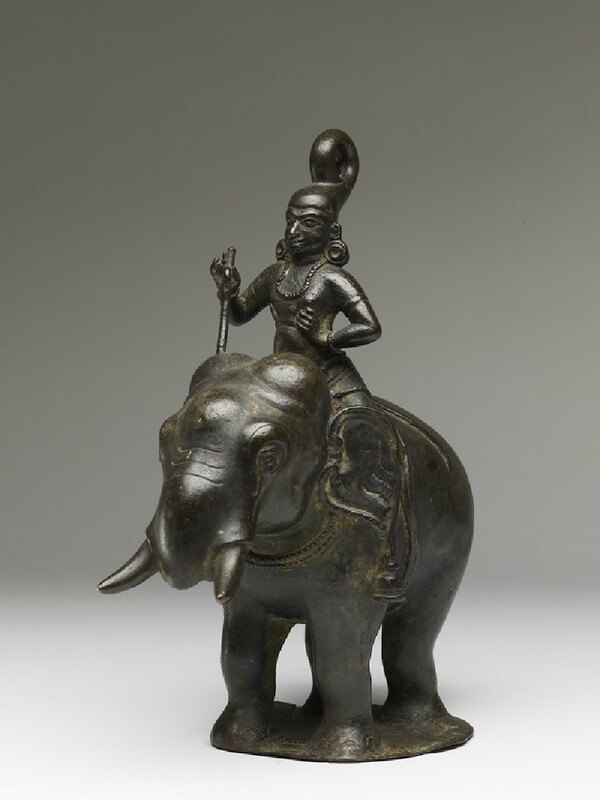 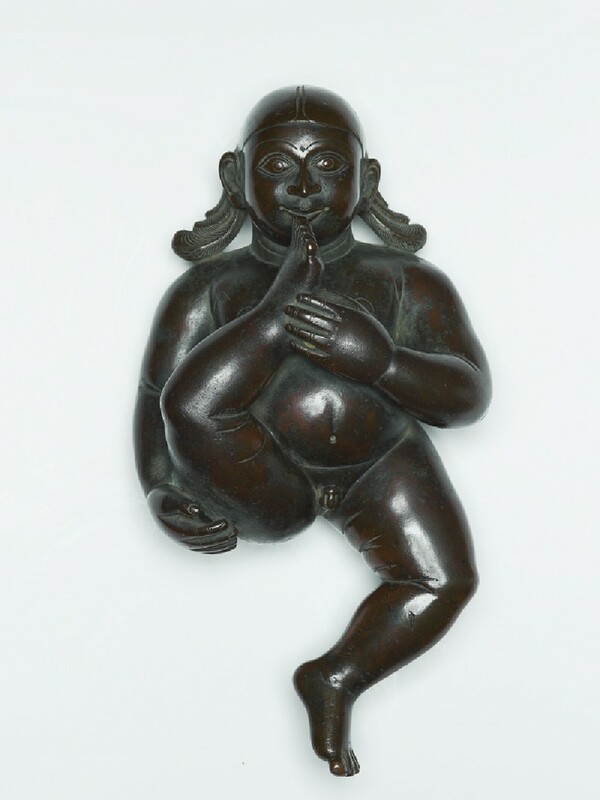 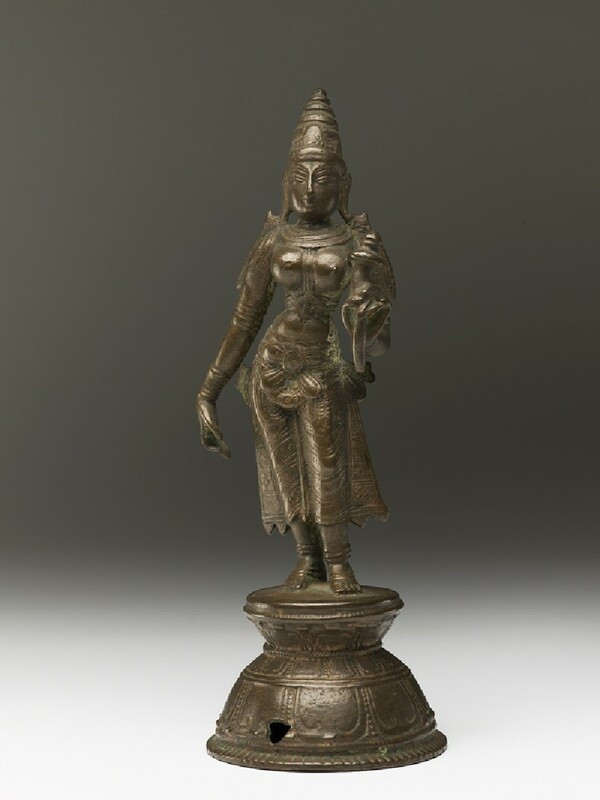 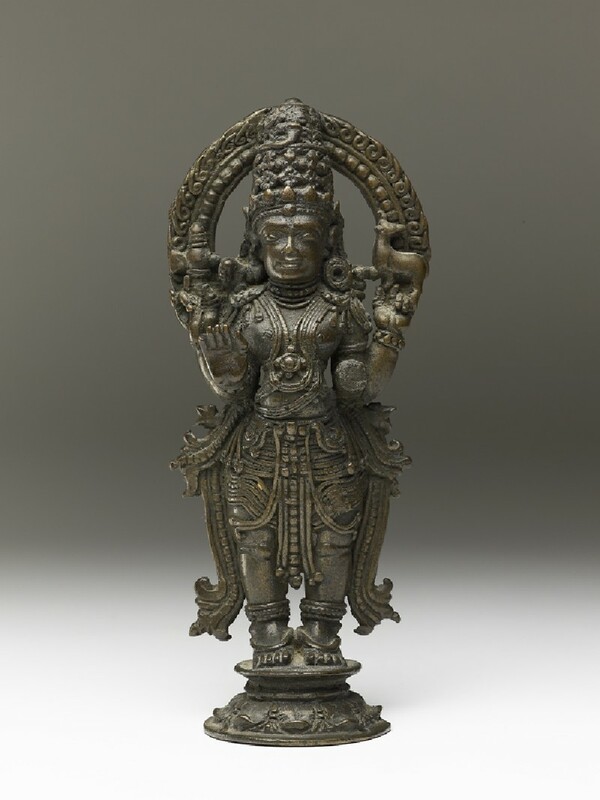 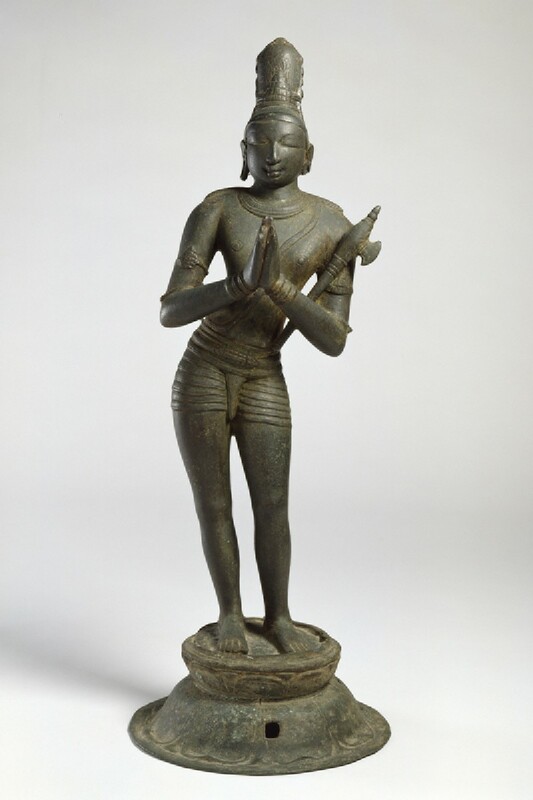 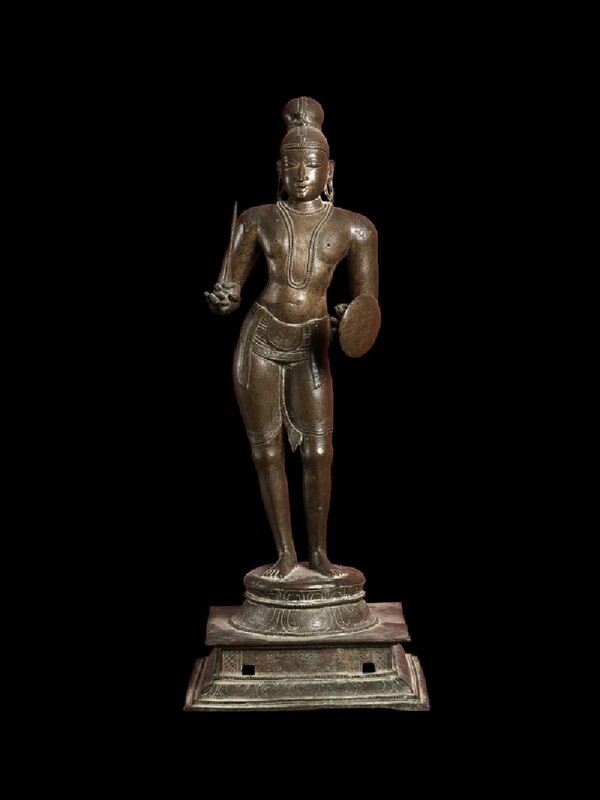 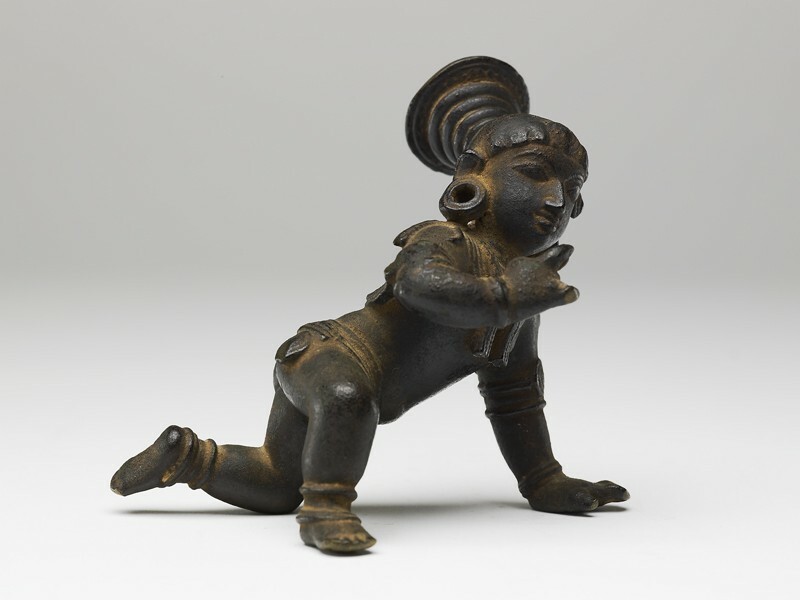 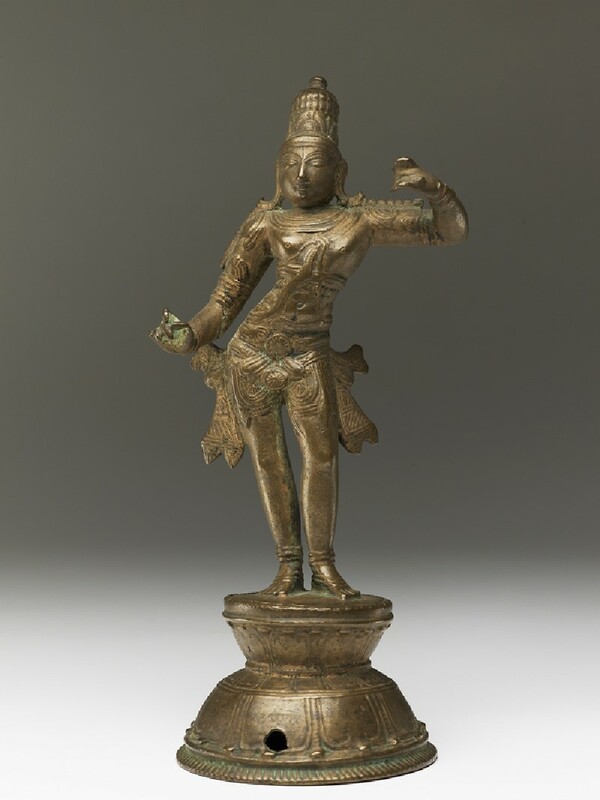 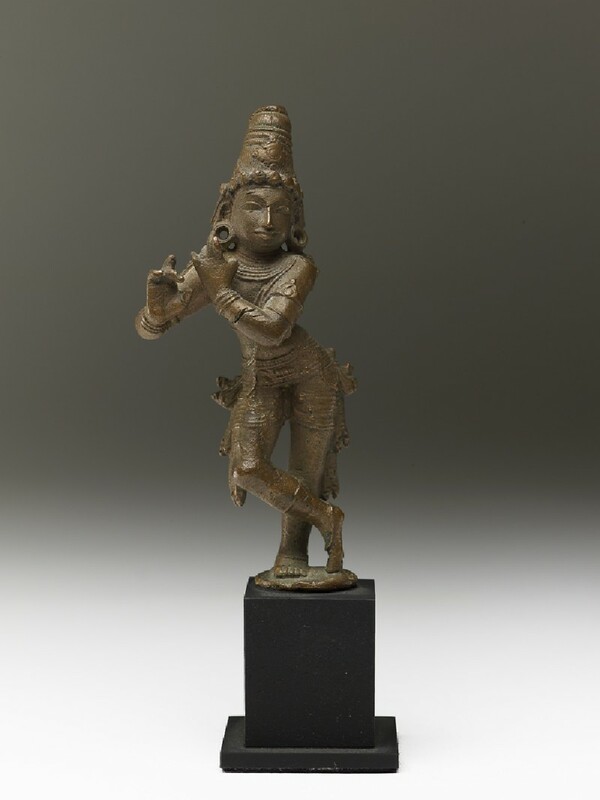 Bronze sculpture also reached a peak of perfection under the Cholas, revealing an exceptional grace of pose and gesture deriving from temple dance traditions. 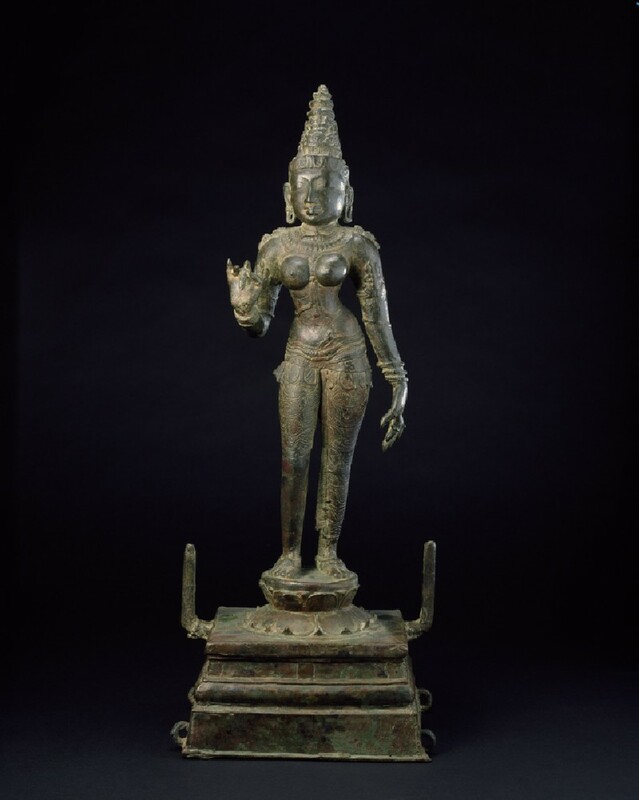 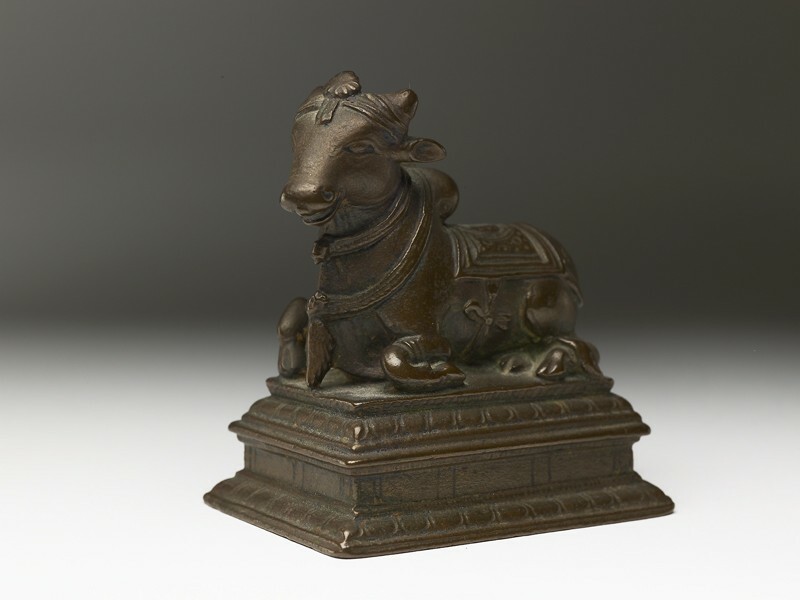 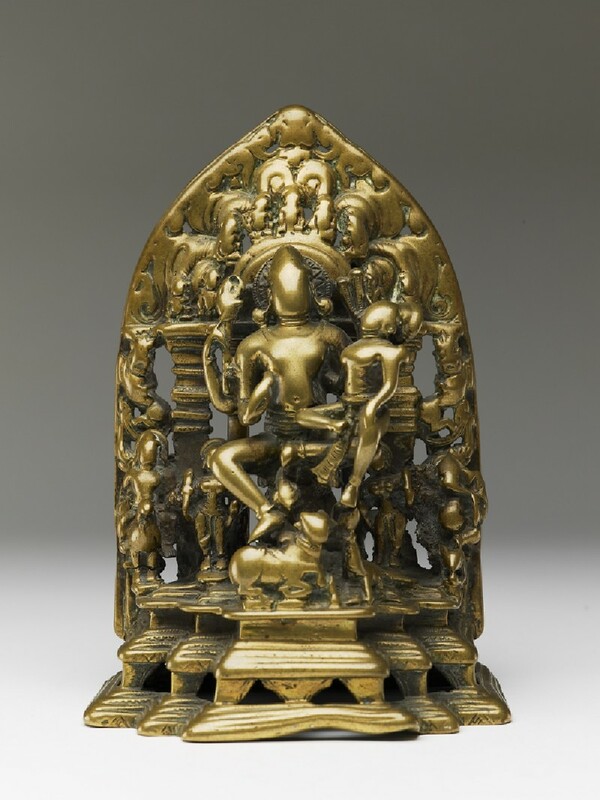 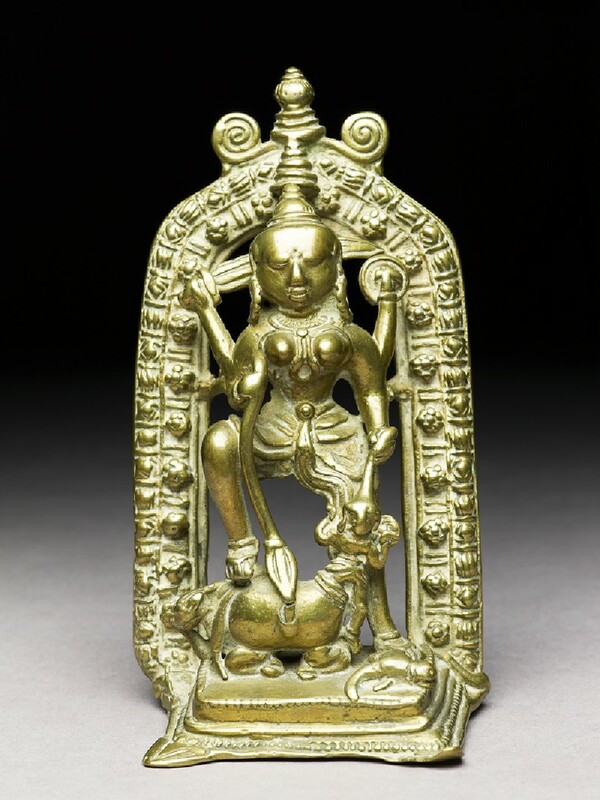 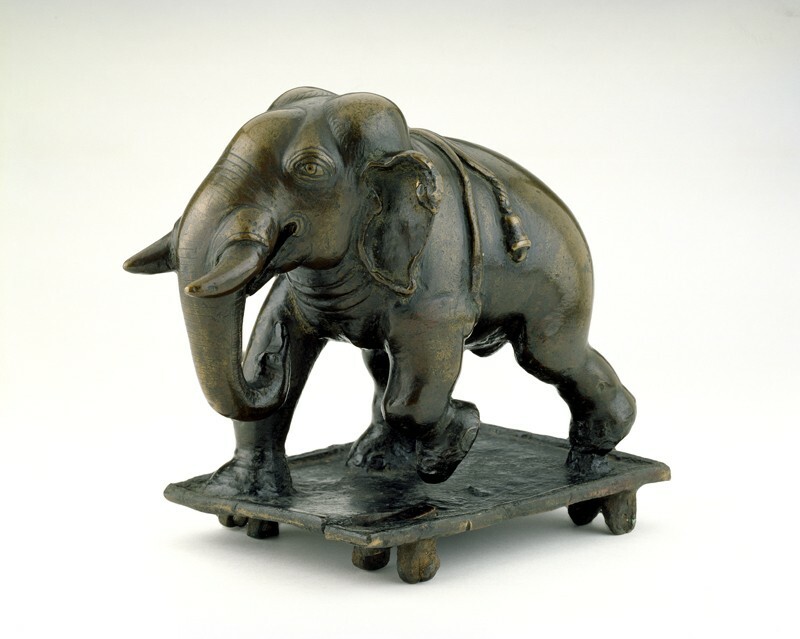 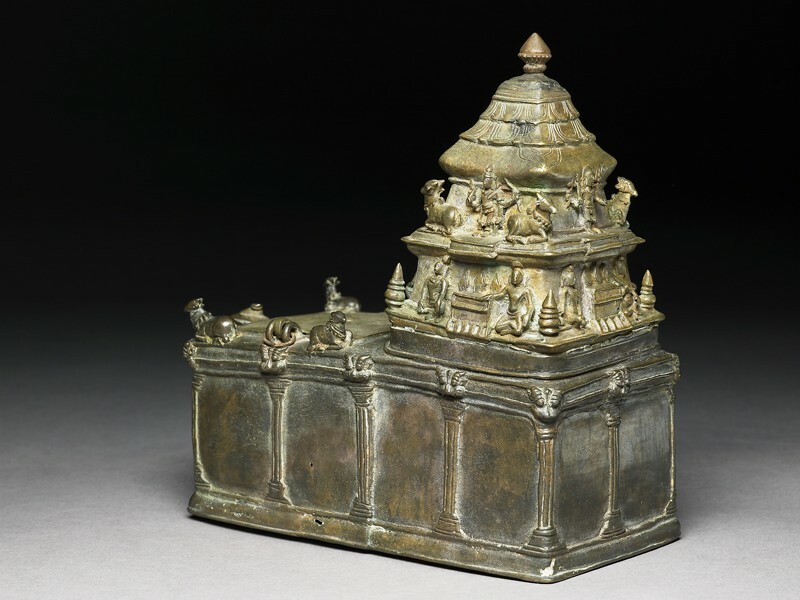 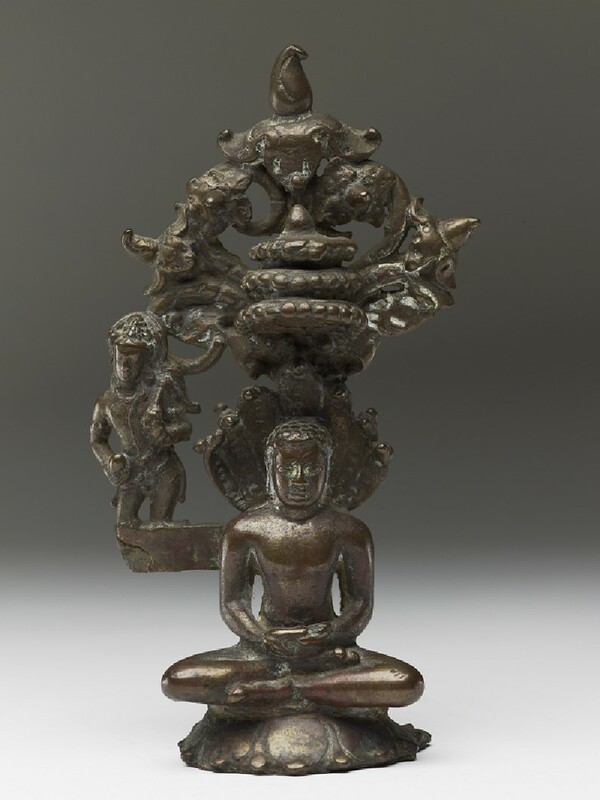 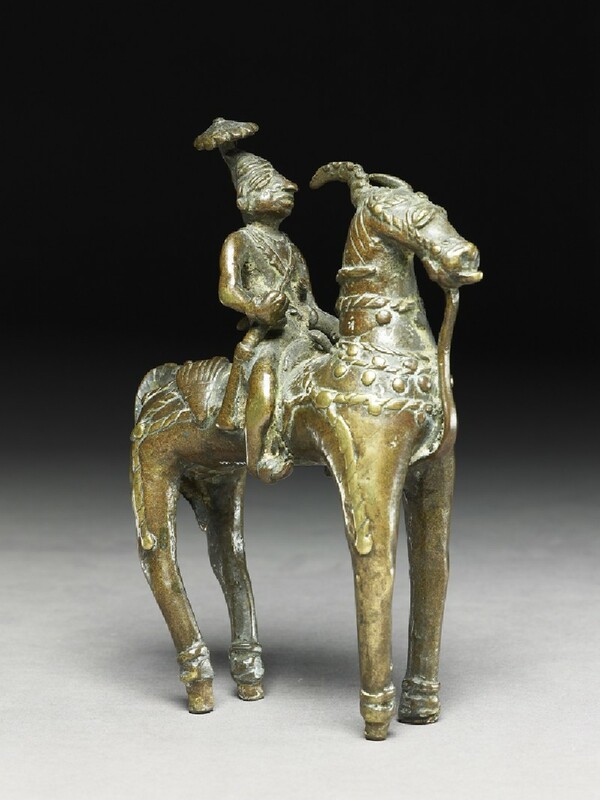 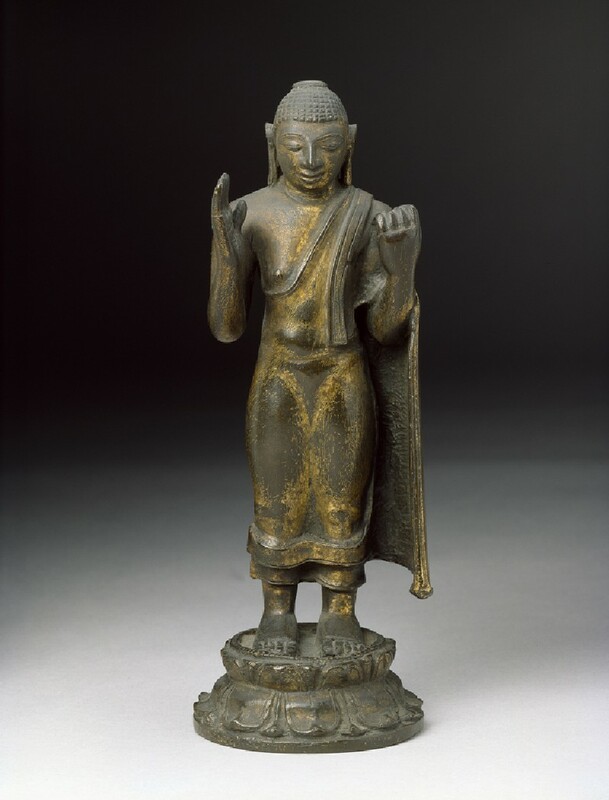 The larger bronze images were made to be portable and were carried out from the temple in procession during annual religious festivals.